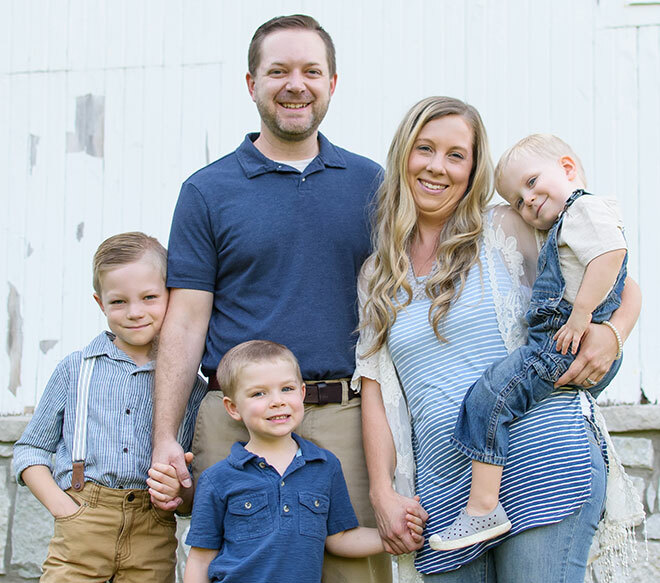 Ohio Adoption Agency | Adoption Link, Inc. | Meet Ryan & Tiffany K.
Meet Ryan & Tiffany K.
Thank you for taking the time to learn a bit more about our family. We can only imagine all that you must be feeling as you search for the right family for your child. Please know that we hold you in the highest regard, and we truly admire this act of great love you are considering for your baby. 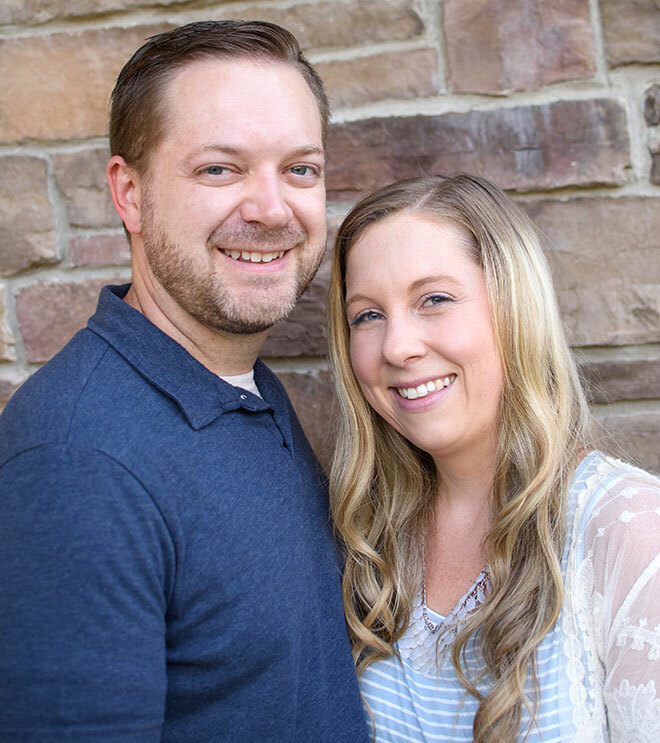 About Us: We are Ryan and Tiffany, and we are high school sweethearts who have been together for 18 years and married for 11. We are truly best friends and love living life together! 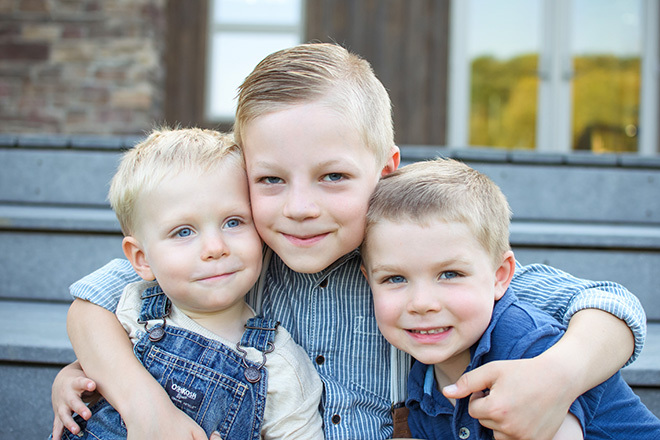 We have three awesome little boys: Toby, Oliver and Elliott. Although we have three biological children, adoption has been on our hearts from the very start. We’ve always dreamed of having a big, close family, but we never planned to have all of our children biologically. We know that love and devotion, not genes, are what makes a family, and we believe that growing our family through adoption will be an incredible blessing! About Ryan: I’m a chemical engineer at a large plastics manufacturer. While I love my job, I also find my career gives me a good work-family balance. When I get home from work, the kids are usually eager to wrestle and play, and so am I! I enjoy coaching Toby’s sports teams and look forward to being involved in each of our children’s interests as they grow up. About Tiffany: More than anything else, I’ve always wanted to be a mother. I stay at home with our 3 boys, and there is truly nothing I’d rather do. I studied Early Childhood Education in college, and I’ve been caring for and teaching children in various ways for 22 years. I am so thrilled for another child to love and cherish! About the boys: Toby is 8 years old, and he especially loves art and constructing; he is always creating something! His kind and loving heart makes him a wonderful big brother, and he’s looking forward to being a “triple big brother”! Oliver is 4 years old and a smart little guy with a knack for remembering facts. As much as he enjoys math and science, he also has a sensitive side and loves to pretend and snuggle with his many beloved stuffed animals. Elliott is 2 ½, and he is full of life! He’s enthusiastic, affectionate, and he loves to make us laugh! They are all three excited for a new little sister or brother! On Family and Values: Family is so important to us, and we love spending time together — playing outside or in, going on family adventures to the zoo, museum or a local park, or just cuddling up together to read a good book. We are lucky enough to live near much of our extended family, including both sets of grandparents, and the boys love playing with their many cousins as well. We encourage our children to follow their interests and dreams, with us offering our support along the way. We attend church together as a family each week, and we strive to model for them the Christian values of honesty, integrity, kindness, love, and respect for others. Above all, we want each of our kids to feel as loved and cherished as they are, and to have the confidence to grow into the unique person they are to become! Our Home and Community: We live in Southwest Ohio between Dayton and Cincinnati. Our 4-bedroom home is situated in a cul-de-sac in a diverse neighborhood full of friendly families. Our kids love riding bikes with their friends, playing on their swing set, or playing a game of soccer in our spacious backyard. Our large, cozy nursery is ready and waiting for our new little one! We would be honored to be your child’s adoptive parents, if you feel we are the right family for your baby. We believe in the many benefits of open adoption and will gladly welcome you into our lives as well and embrace you as part of the family. We would love to talk with you and share more of our story. Until then, warmest wishes to you on your journey.